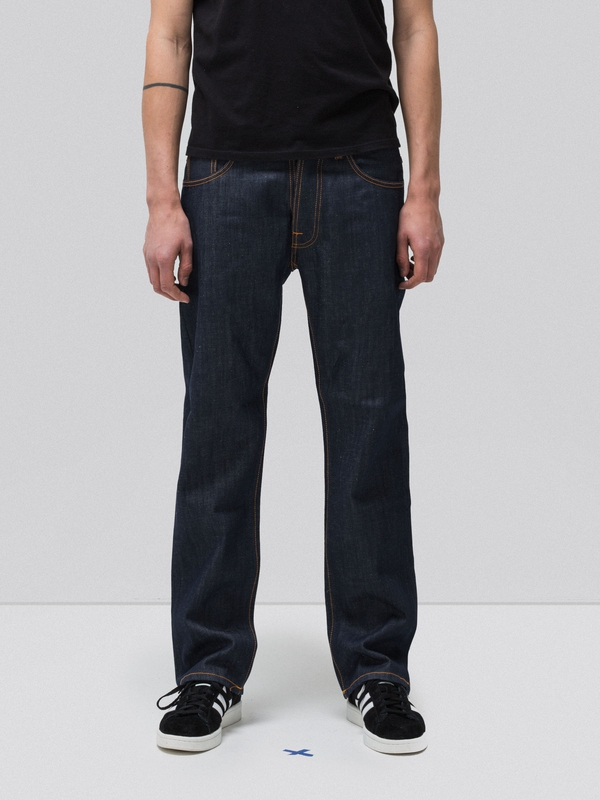 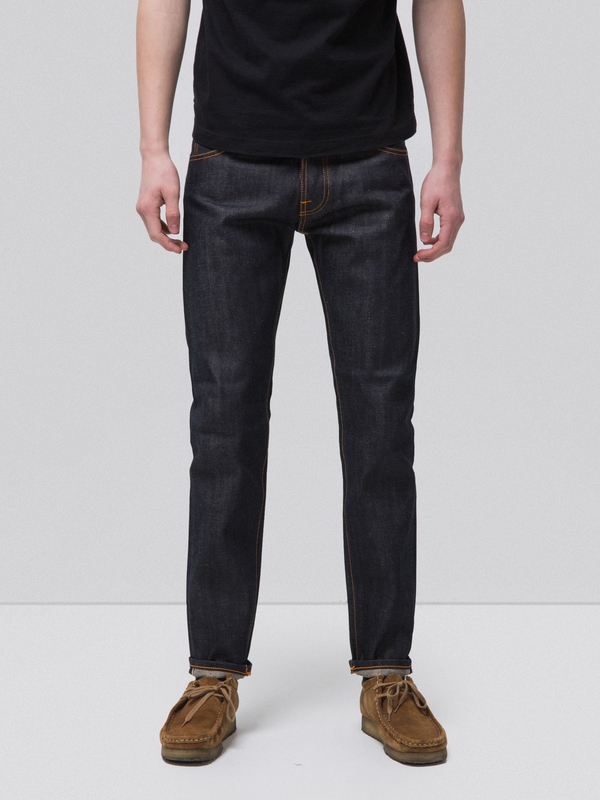 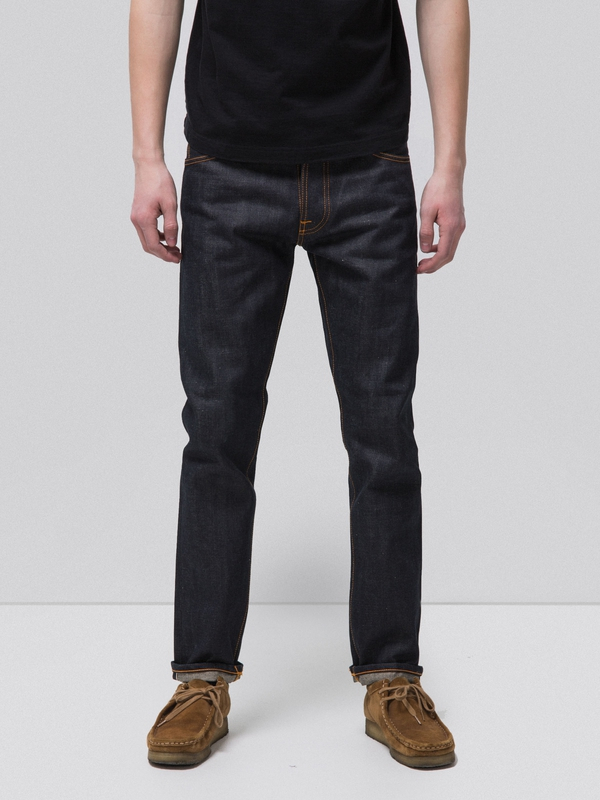 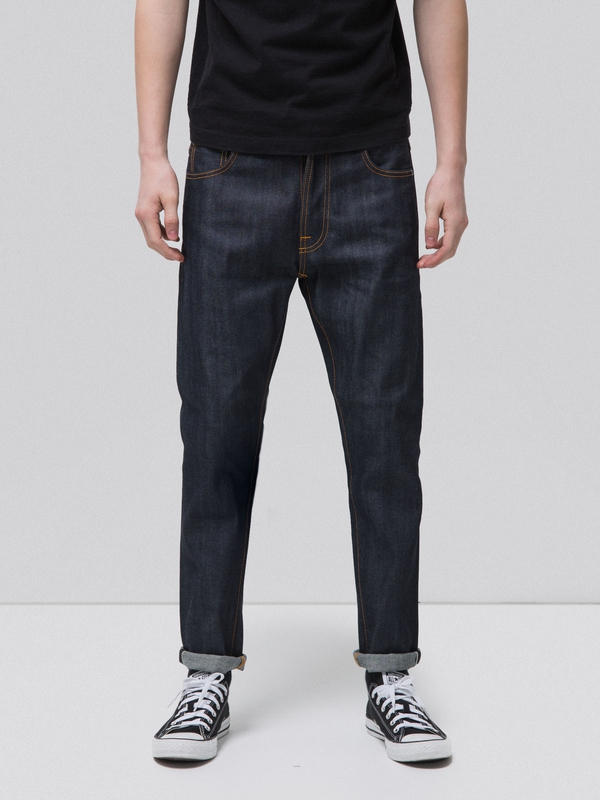 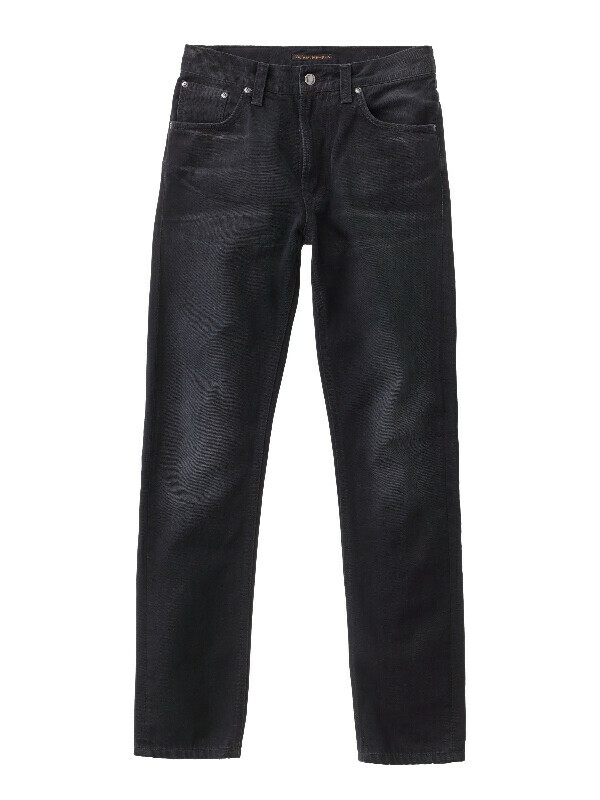 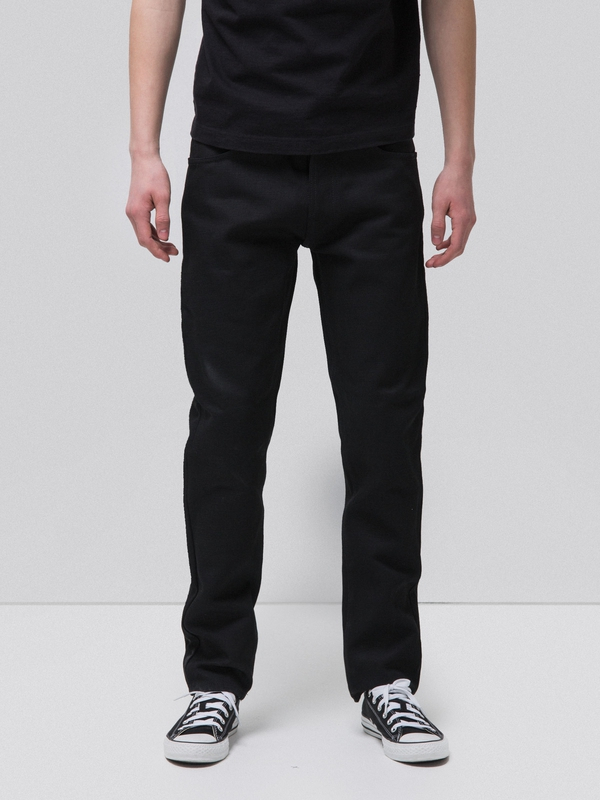 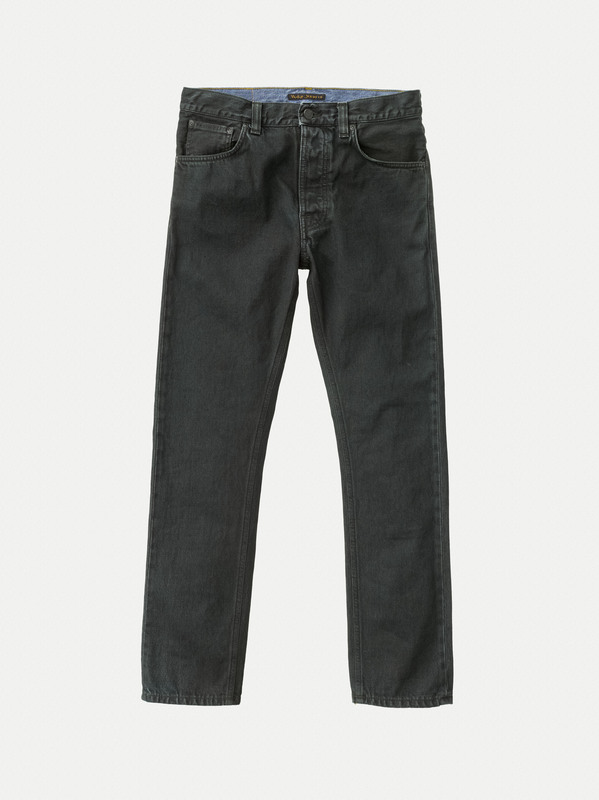 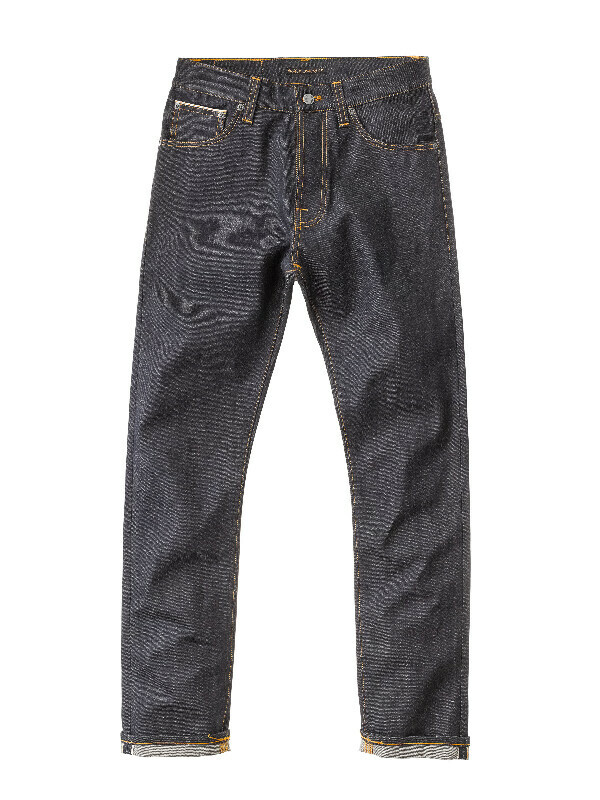 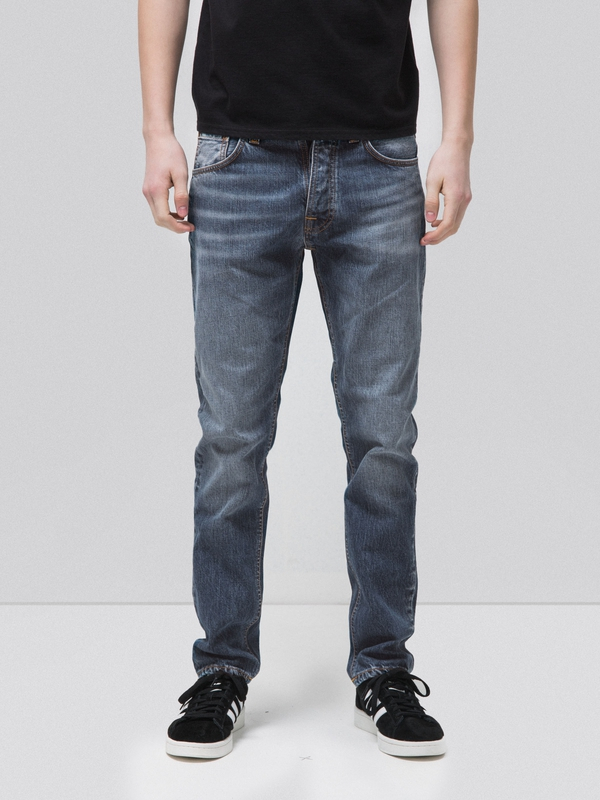 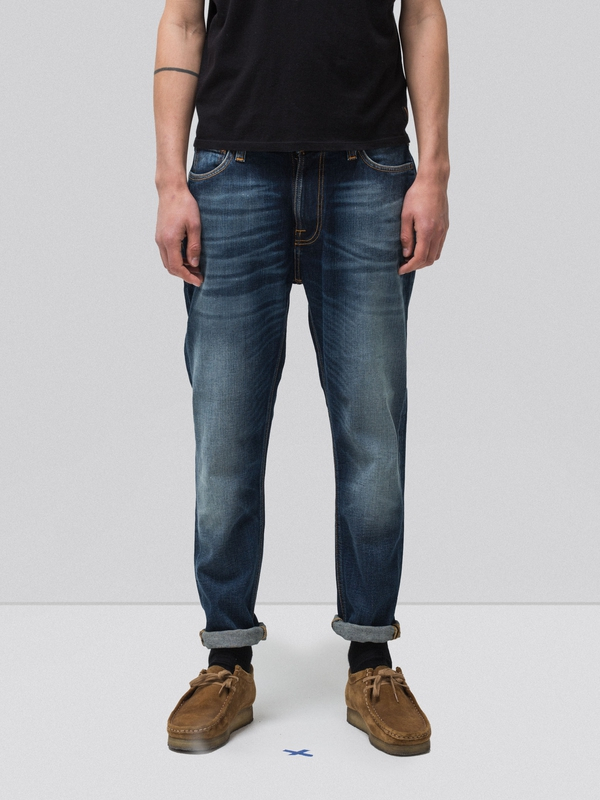 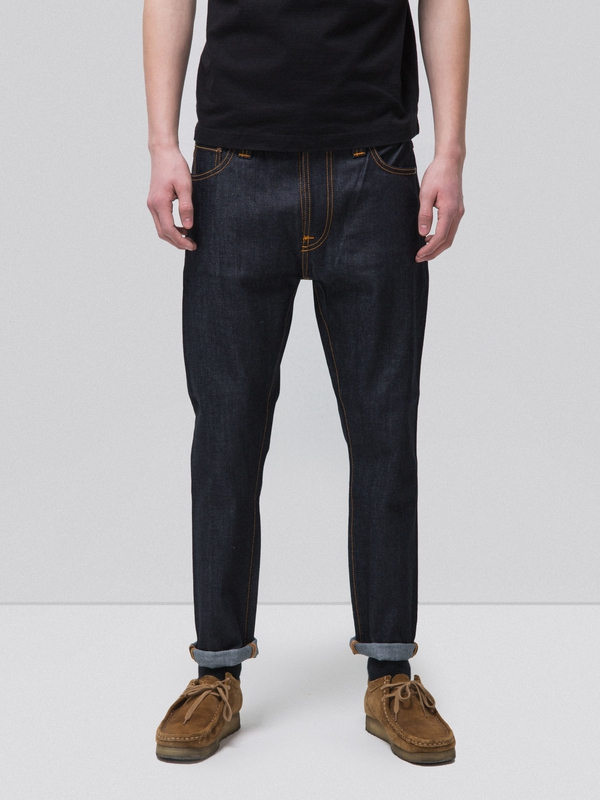 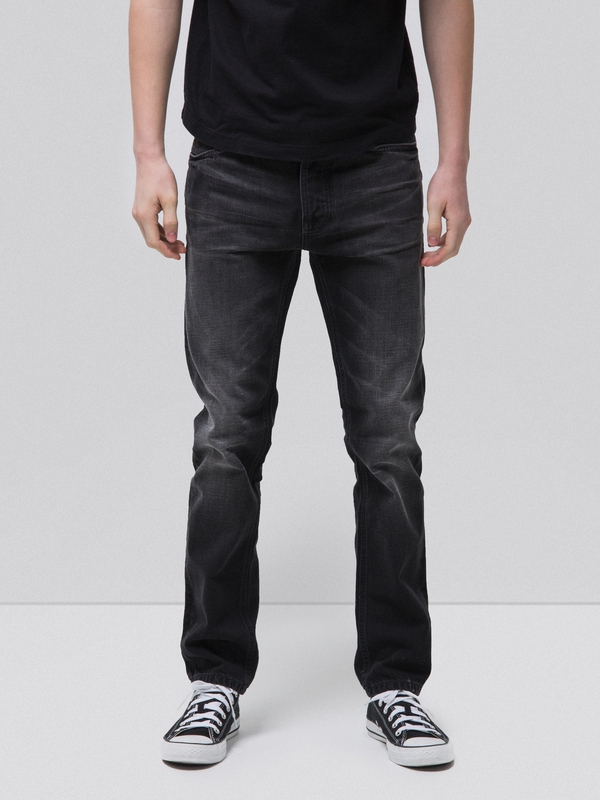 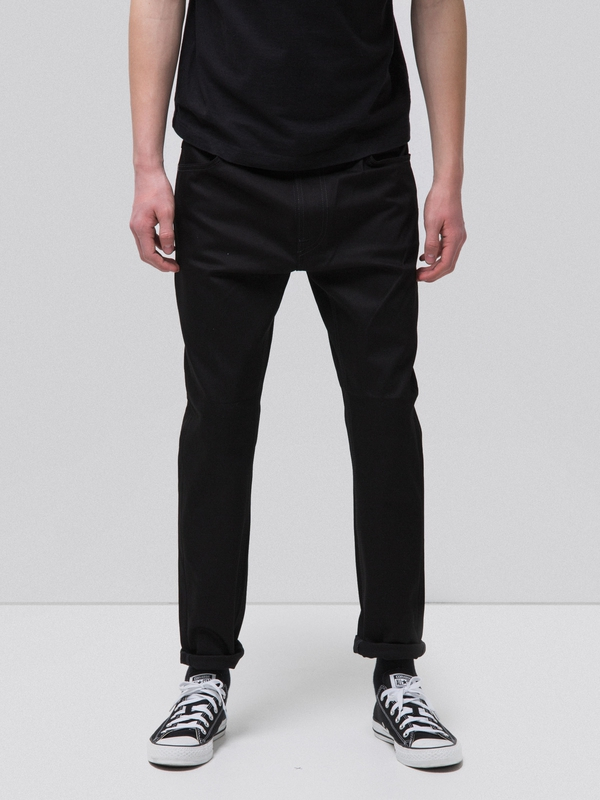 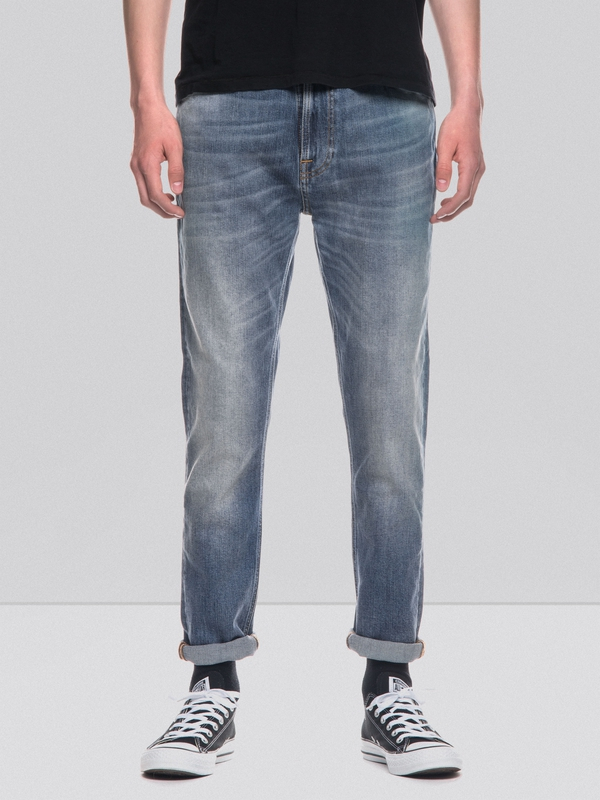 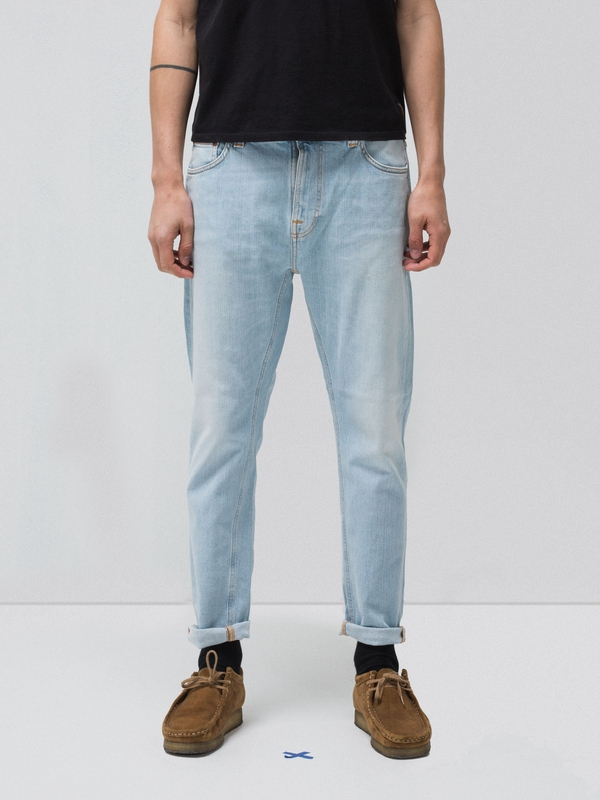 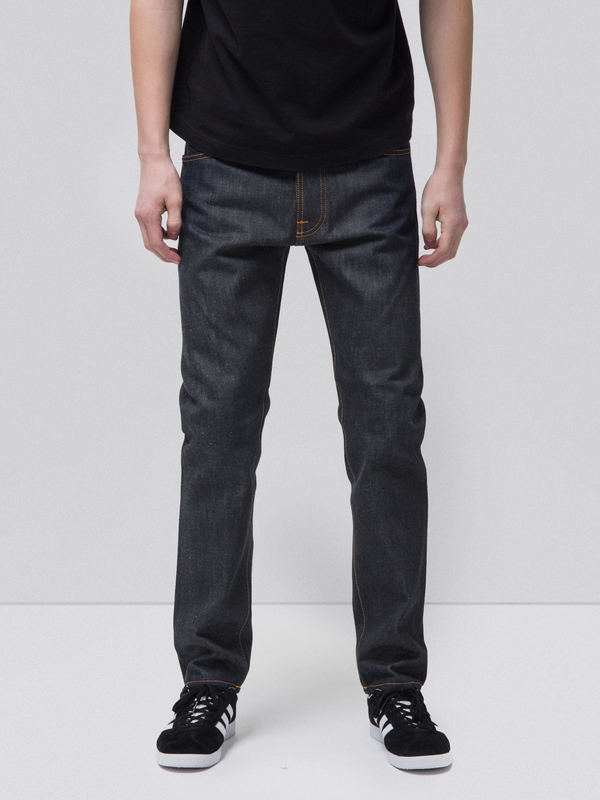 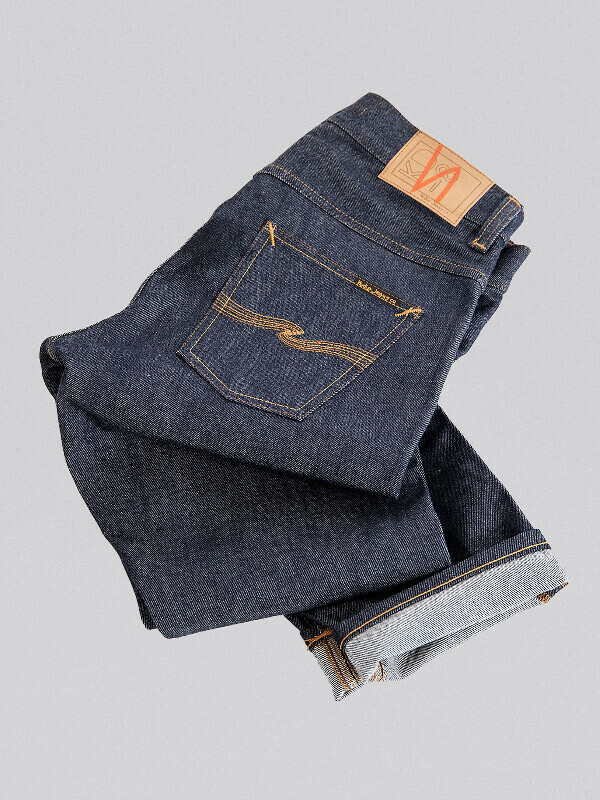 Worn in authentic wash on black denim with open construction and supple handle. 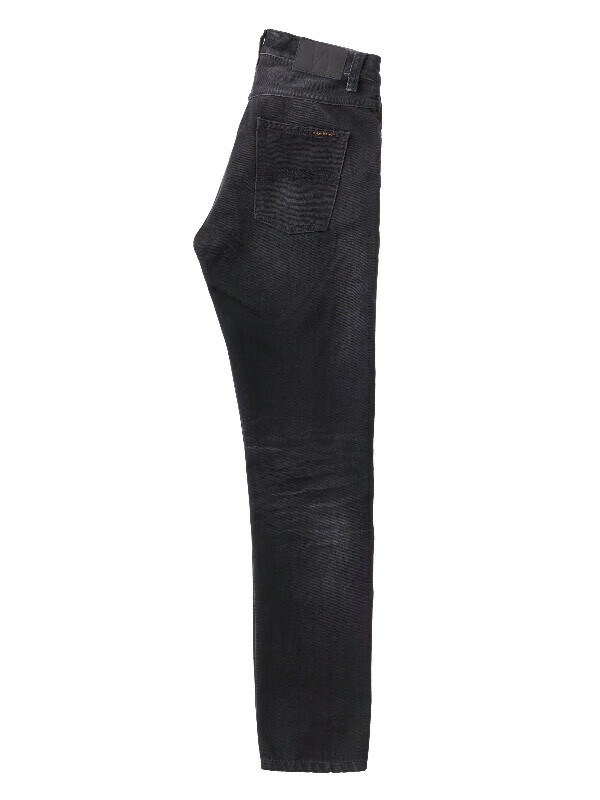 Both warp and weft are black but the core of the yarn is white and you can see it shining through in the abrasions that also reveal some cross hatch effect. 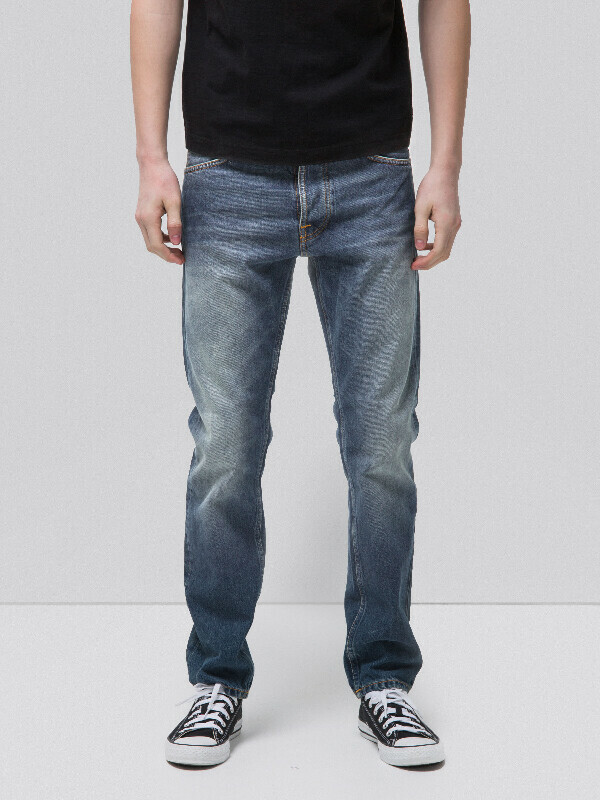 Front moustaches made with sharp 3d effects.